QPR lose narrowly at Elland Road. QPR went down 2-1 at Elland Road despite taking the lead mid-way through the first half. Nahki Wells put Rangers 1-0 up with a brilliantly taken goal after a good ball by Angel Rangel, but on the stroke of half-time Leeds drew level with a close-range strike by Kemar Roofe. And Roofe sealed victory for the hosts after the break from the penalty spot. Steve McClaren stuck with the same side that lost narrowly at home to Hull City last weekend, as the R’s looked to get back on track at the home of the high-flying Leeds United. Joe Lumley lined up between the posts behind a back four, from left to right, of Jake Bidwell, Joel Lynch, Ton Leistner and Angel Rangel. Luke Freeman began on the left of midfield with Pawel Wszolek on the other flank, while Mass Luongo continued his partnership in the centre of the pitch with Geoff Cameron. 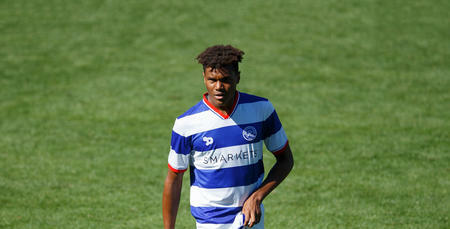 Ebere Eze played just off Nahki Well, who once again led the line for the R’s. The hosts went into this fixture in confident mood after taking nine points from their previous three games. Having lost only once at home in the league all season, they provided a stern test for McClaren’s men. 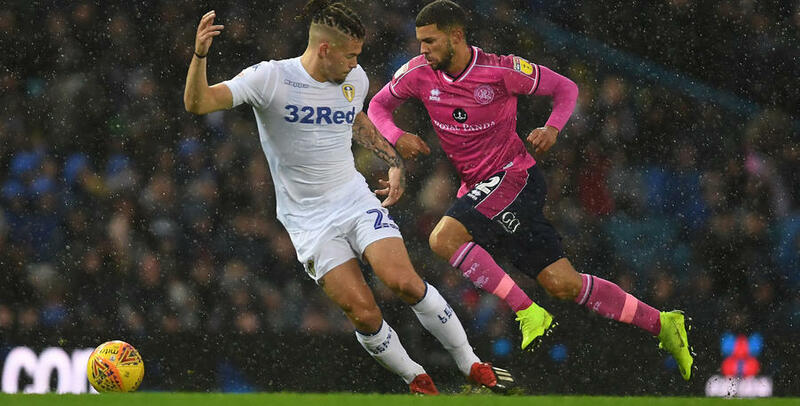 The home side flew out of the blocks in heavy rain and nearly had the opener in the third minute when Pablo Hernandez’s wicked low delivery from the right was met by Kemar Roofe at the near post but the Leeds striker could only divert wide from eight yards. 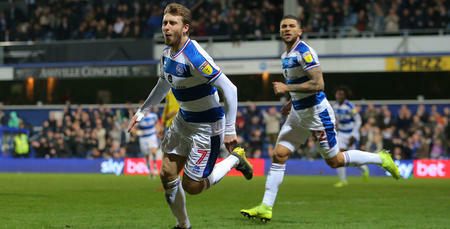 QPR settled after a tough opening five minutes and looked like they had the potential to cause Leeds problems on the break, but such was the hosts’ attacking threat, concentration was going to be key for the R’s. On 22 minutes a pass over the top deflected into the path of Roofe behind the R’s defence but Lumley was alert to the danger and was quick off his line to smother the chance. At the other end of the pitch, Freeman found Eze in space on 25 minutes but the latter’s shot from the edge of the box was comfortably saved by Bailey Peacock-Farrell in the Leeds goal. But just a minute later the R’s took the lead with a cool finish from Wells. Rangel floated a ball over the top and the QPR loan striker latched onto it to get clear of the Leeds backline. With plenty of time to consider his options, Wells took a couple of touches before coolly slotting home from 14 yards. Following the goal, Leeds continued to enjoy plenty of possession but QPR held firm and restricted them to no real sight of Lumley’s goal. The R’s looked to be heading into the break with the lead but in the third minute of injury time of the first half, the hosts drew level through Roofe. After an initial effort was brilliantly blocked by Luongo, the ball fell to Hernandez just inside the box and he toe-poked the ball towards the far post where Roofe was waiting to slot beyond Lumley from close range. Having defended so well as a unit for much of the first half, it was a sickening pill to swallow on the stroke of half-time. Following the interval, McClaren was forced into his first change of the afternoon with Scowen replacing Geoff Cameron, who appeared to pick up an ankle injury shortly before the break. Hernandez had the first opportunity of the second half, firing over from 12 yards after a neat lay-off from Roofe. But on 53 minutes Leeds were ahead and Roofe was the scorer again, this time from the penalty spot. Referee Peter Bankes awarded the spotkick for a handball by Leistner, who had battled to prevent Roofe getting a shot away and was trying to get the ball bacl towards Lumley but had used his arm to do so in the opinion of the official. 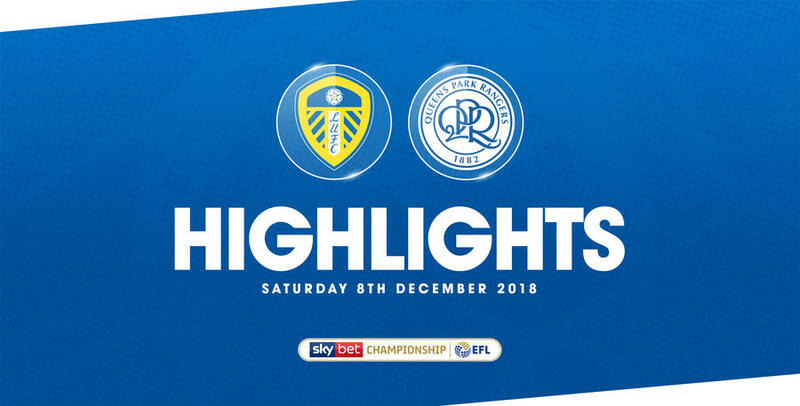 Roofe was proving to be a huge nuisance for the R’s rearguard and he got behind them again shortly after the hour mark but his effort from close range was well saved by Lumley as the R’s battled to stay in the game. With 20 minutes to go, Wells had a great chance to add to his tally for the afternoon when Rangel picked up a ball from Luongo on the right and cut inside before pulling the ball back for the R’s No.32, but Wells’ shot from 15 yards flew over the crossbar. McClaren made his second change of the afternoon shortly after, replacing Wszolek with Bright Osayi-Samuel. Wells again went close on 74 minutes, this time turning his marker brilliantly before flashing a shot wide of the far post from 20 yards. McClaren made his final change in 78 minutes when he brought on Matt Smith for Eze. On 87 minutes, a speculative effort from Bidwell forced the Leeds keeper to tip the ball over the crossbar. Rangers pilled the pressure on in the closing stages but the hosts held on for all three points. 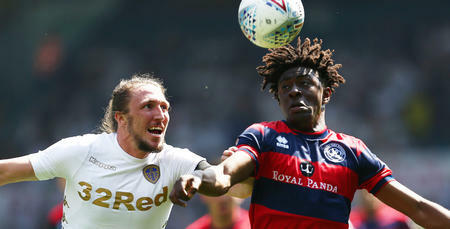 WATCH highlights from QPR's 2-1 defeat against Leeds United at Elland Road on Saturday afternoon.